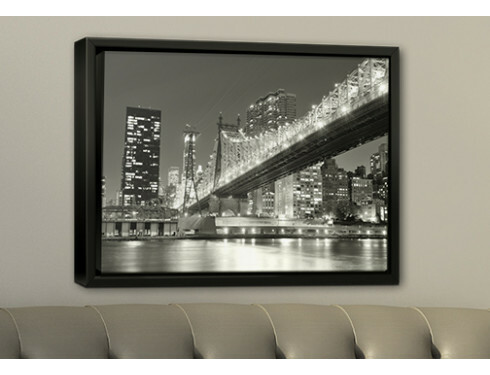 Our very popular stretched canvas prints have just gotten better. 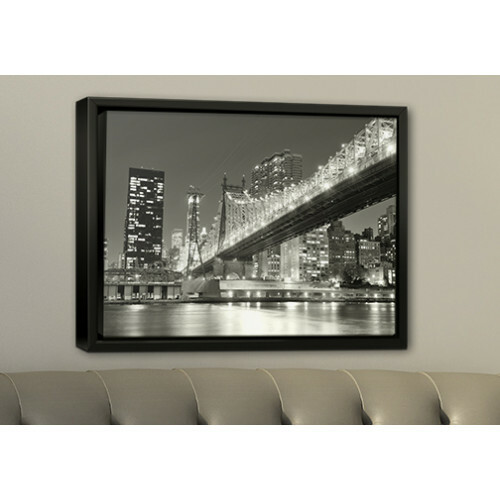 Add elegance to your canvas with the addition of a floating frame. Floater Frames don't conceal an inch of your artwork as the frame is secured to the back of the canvas. All giving to the illusion that your artwork is suspended inside this contemporary frame. 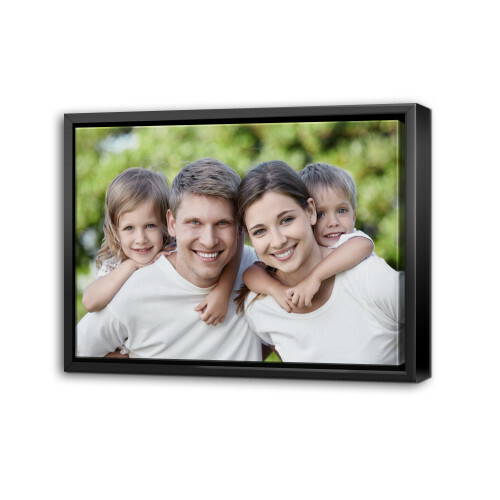 Choose a standard wrap canvas which sits flush with the frame face, or for added impact select a gallery wrap canvas which will extend above the frame. The frame is constructed from eco-friendly recycled materials, they are lightweight and more durable than natural wood counterparts. Available in 3 sizes - 16"x20", 18"x24", 24"x30"
Note: Standard Wrap .75” with “fold” edge option require 1.25” bleed on each side. Example: Submit 14.5” x 14.5” artwork for 12” x 12” Standard Canvas Wrap (0.75”). Gallery Wrap 1.5” with “fold” edge option require 1.75” bleed on each side. Example: Submit 15.5” x 15.5” artwork for 12” x 12” Gallery Canvas Wrap (1.5”). 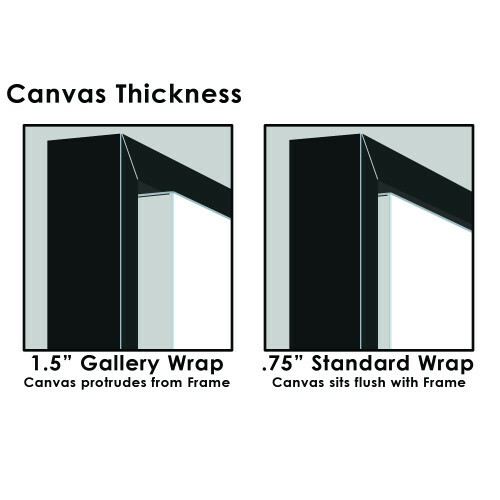 Size 16" x 20"	18" x 24"	24" x 30"
Canvas Thickness Standard Wrap .75"	Gallery Wrap 1.5"